Home » Adult onset Acne – Looking for an acne treatment in Delhi. Having acne when you’ve long left your teen years behind can be immensely frustrating. Wasn’t this supposed to go away in your teens? Aren’t you too old to be worrying about a big pimple on your cheek? If you do have adult acne, it’s a comfort to know that at least you’re not alone. 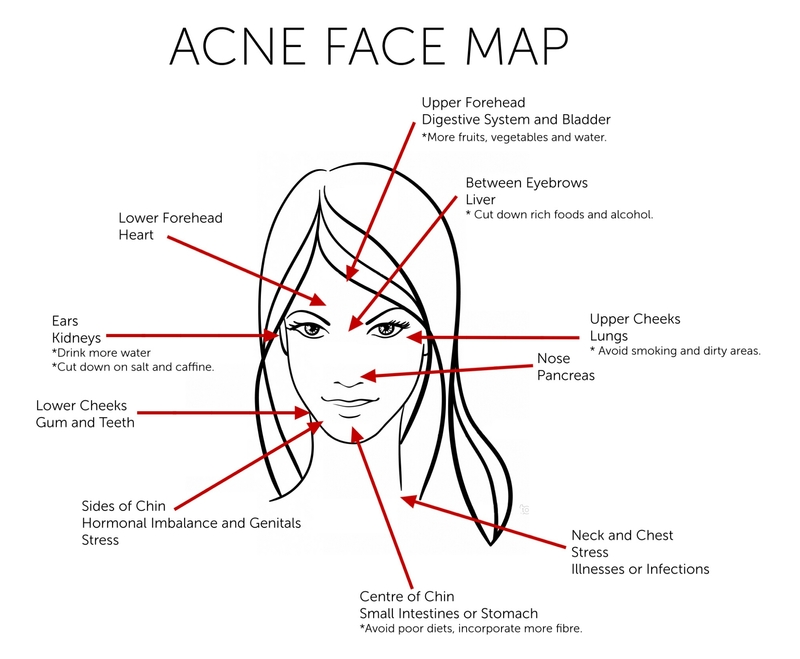 By pinpointing where acne spots appear on the face, these holistic health experts believe they can determine where in the body inflammation is taking place—allowing acne sufferers to address what’s causing the problem. A characteristic sign of polycystic ovary syndrome (PCOS), pimples along the jawline signify problems with your hormones. Estrogen, testosterone and cortisol could all be to blame. Acne in this region can be helped by hormone-balancing solutions. Pimples along the forehead are a characteristic sign of toxin build-up and dehydration. Drinking plenty of water will flush out toxins, helping to solve the problem. Do your best to avoid caffeinated products, as they are suspected to cause dehydration.drinking green tea and consuming lots of antioxidant-rich foods such as berries to neutralize toxins. Acne on the upper and lower cheeks actually have different causes. Blemishes on the upper cheek can be related to pollution and toxins in the lungs, or a dirty cell phone or pillowcase. Meanwhile, lower-cheek acne can often be attributed to dental hygiene. The common thread between upper- and lower-cheek acne is this: keep your face and body clean! Avoid smoke, keep your cell phone free of bacteria, and wash your sheets and towels regularly. Adult acne can seem impossible to cure, but face mapping can give us some clues as to what may be the cause.